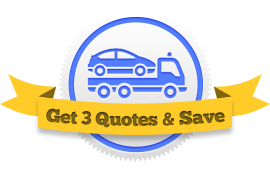 Looking for a Physical Damage quotes on your tow truck? Don’t get 1 quote, get 3! To get the best deal on your towing insurance, you need to shop around. Just fill out 1 quick form on our website and we’ll bring you 3 agents to compete for your tow truck insurance. In this next installment of our Commercial Tow Truck Owner’s Insurance 101 Guide, we’re going to explain the basics about what you need to know to protect your commercial towing business with physical damage coverage. What does physical damage cover? There are a lot of risks on the road. 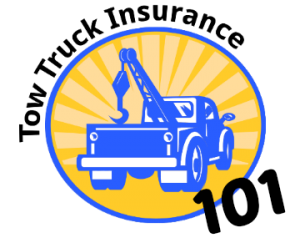 Your tow truck could be damaged in an accident or from fire, hail, or other disasters. It could be stolen or vandalized. Any of these issues could put your truck out of commission. Collision protection. Provides protection in case of a collision for your tow truck if it is damaged in an accident by colliding with another vehicle or object, or if it overturns or rolls. Comprehensive protection. Provides protection if your tow truck is damaged by something other than a collision. This can include theft, vandalism, fire, natural disasters, falling objects, etc. Basically, protection against almost everything except a collision with another vehicle or object. Fire and Theft with combined additional coverage insurance is a limited form of Comprehensive insurance specially designed for specific heavy truck types. Physical Damage is an insurance term for a group of coverages to protect your vehicle. It includes collision and comprehensive coverage, as well as fire and theft. Most every commercial tow truck insurance policy typically includes an option to add physical damage coverage, allowing you to select specific coverages to build a policy tailored to your business’s needs. If the companies you’re getting quotes from don’t provide you with options, keep shopping. If you have a loan on your tow truck or if it’s leased, your lender will typically require that you carry physical damage insurance on your vehicle. However, if your tow truck is paid for, this type of coverage is optional. As always, weigh the risks of having to replace your tow truck completely out of pocket. Physical damage coverage will make sure you have the means to repair or replace your tow truck if it’s involved in an accident or even damaged while parked. This can include collision, comprehensive, fire and theft coverage. For Physical Damage insurance, you must choose a deductible. The deductible is the amount that you agree to pay out of pocket when you have a claim. Depending on your policy, this could be as low as $500, or as high as $5,000. Selecting a higher policy deductible can be a good way to lower your insurance premiums. However, be sure you select a deductible that you can easily afford to pay out-of-pocket in the event of a loss. When selecting physical damage insurance for your tow truck, the insurance company will require that you to submit a stated amount. This is basically your best estimate of what the current value of your tow truck is. The stated amount should consider the age and condition of your vehicle, as well as any permanently attached equipment. If while towing a vehicle in bad weather you hit a patch of ice, lose control, and run into a tree. Your physical damage collision insurance will pay for damage to your tow truck because this was an accident in which you collided with another object. So if you selected a $1,000 deductible, you would pay the first $1,000 to have your vehicle repaired or replaced out-of-pocket. The balance would then be paid the insurance company to cover the remaining repair bill, up to the stated amount as indicated on your policy. We hope you found this information on commercial tow truck physical damage insurance helpful. While it’s not a full list of coverages provided under a commercial policy, it can help provide you with some policy basics. Save on your wrecker insurance! At Tow Truck Insurance HQ we’ll help you find the best deal by bringing you 3 agents to compete for your business. With 3 brokers shopping the market, you will have much broader access to the universe of tow truck insurance companies and greatly increase your chance of finding the best deal.